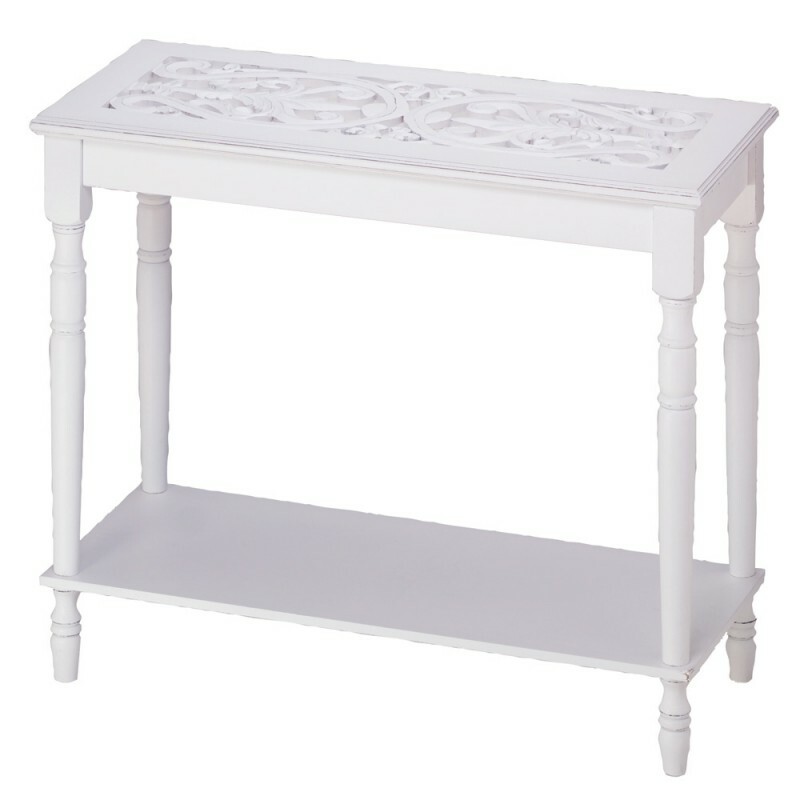 Wood console table features ornate carvings, turned legs and a distressed white finish. 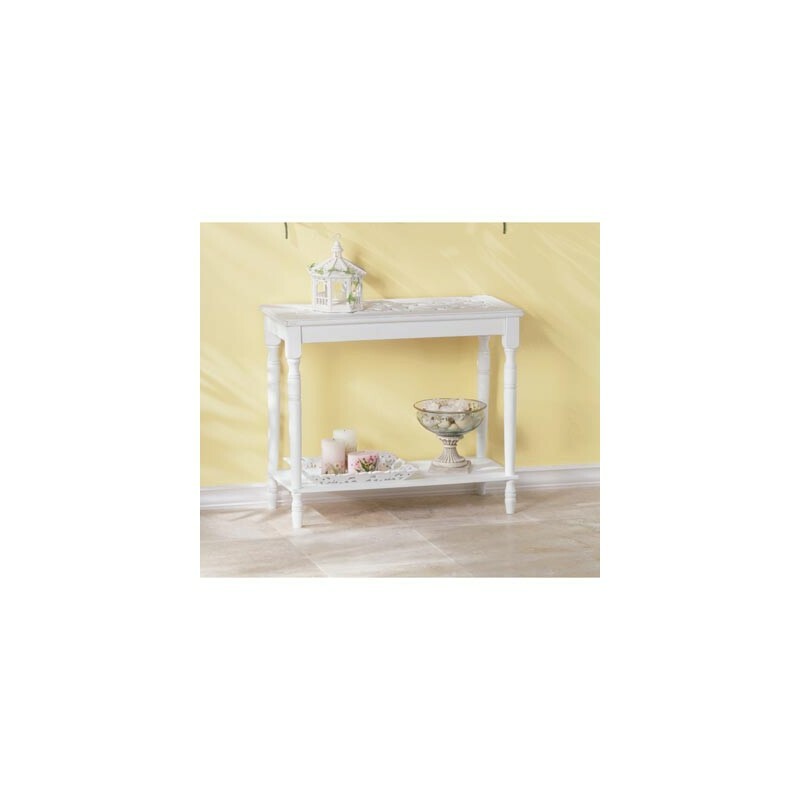 A must-have for the romantic heart! 35" x 14" x 29" high.